Made of high quality kiln-fired ceramic. 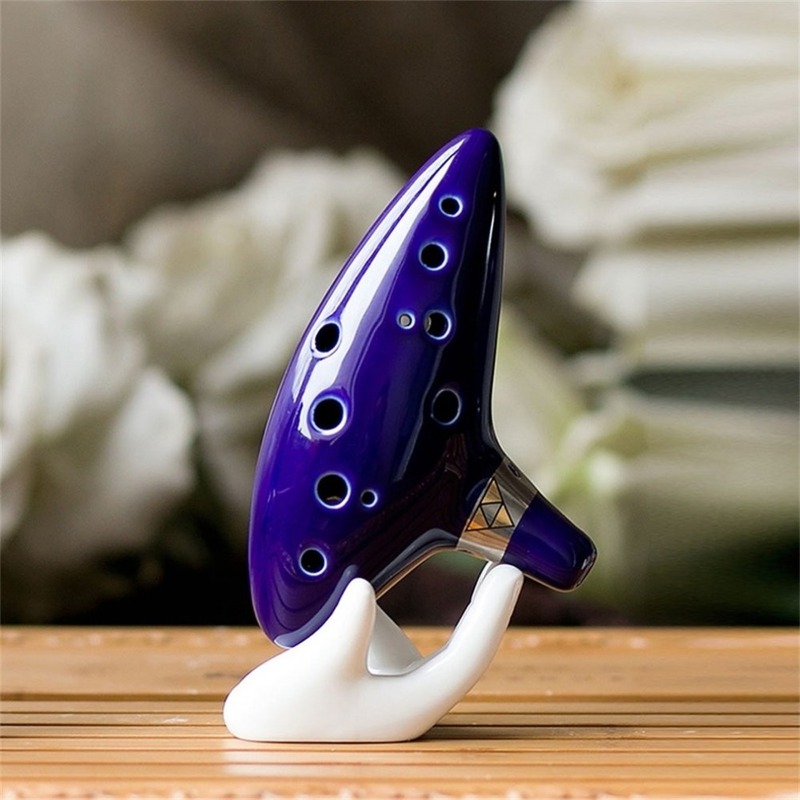 Perfectly tuned in the key of C.
Crystal clear high notes that don’t require tons of breath. 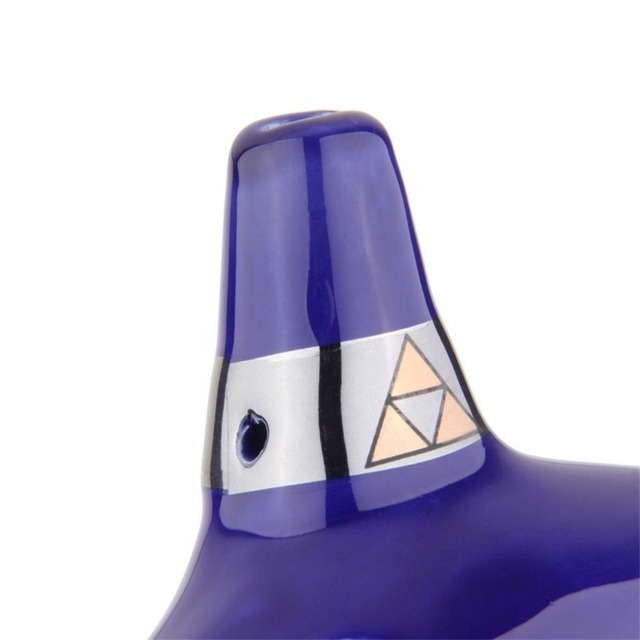 It has a dark blue glaze with a platinum glaze around the triforce symbol. 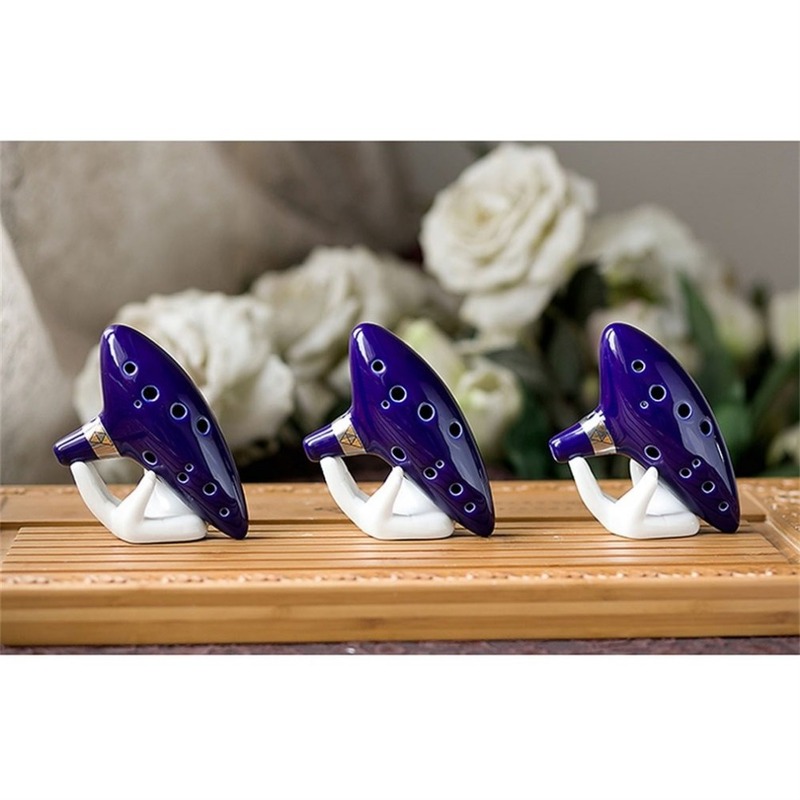 This ocarina is not a cheap plastic toy or just a collector’s item, it is a hand-crafted and tuned instrument made with loving care by musicians. 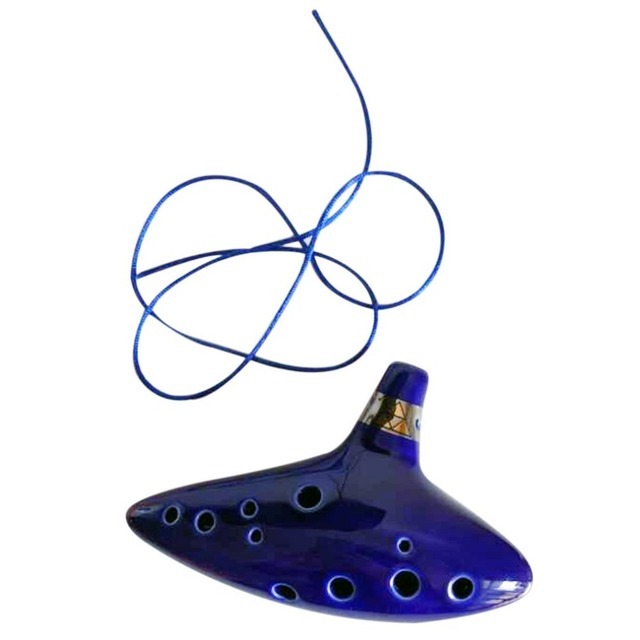 Crystal clear high notes that don't require tons of breath. Beautiful! Great quality! And it came in 7 days!!! Thank you so much!! 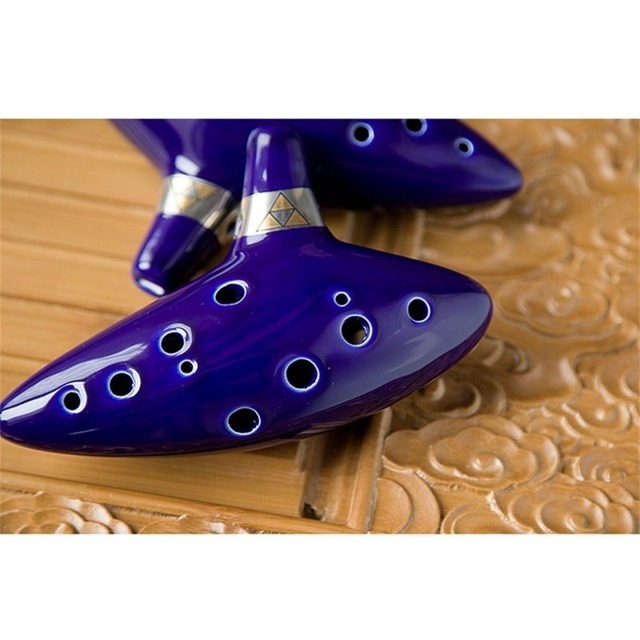 has a good look and is real ceramic … display items really good , to play music i am not sure …. 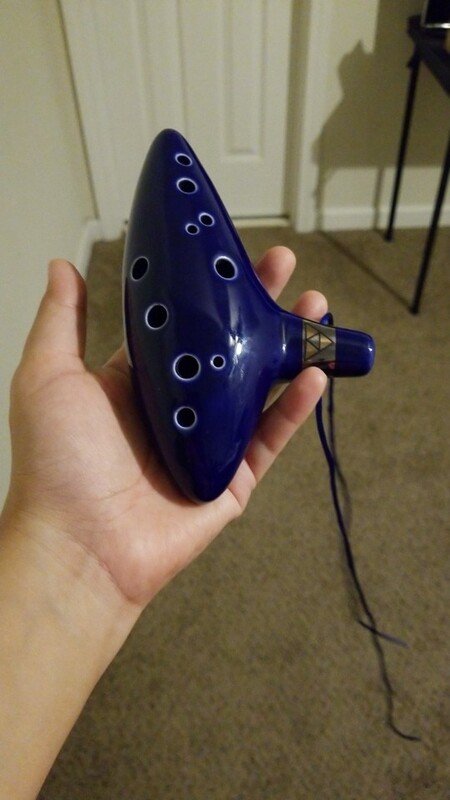 Ordered this thing like four days ago and it got here in less than a week. The detail is just like that in the picture and it plays perfectly well, I couldn’t be more satisfied. 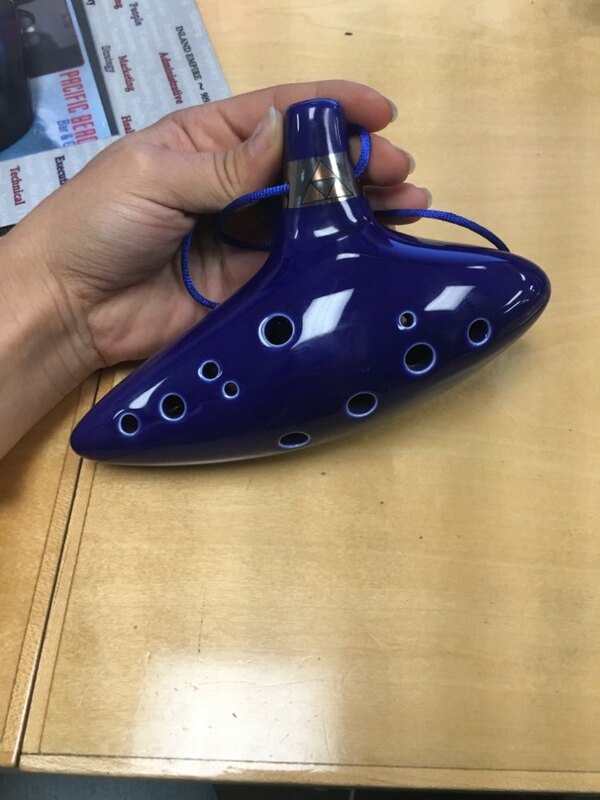 I’ve received the item today. It sounds strange, but I guess is because I’ve never played ocarina before. Shipping was perfect!